There are many different options if you're looking for educators to help your child outside of school. Read on to find out about a few options you might want to consider. If your child is struggling in school, you may want to consider hiring a tutor who specializes in teaching children because he or she can individualize instruction to meet your child's needs and target the specific areas that challenge your child. When you first start looking for a tutor, you may want to ask your child's teacher if he or she has any suggestions. Perhaps your child's writing skills are behind the rest of the class, or maybe your child could use some help with multiplication. Before researching tutors, make sure you know exactly what you're looking for to maximize the benefit your child will get from the experience. 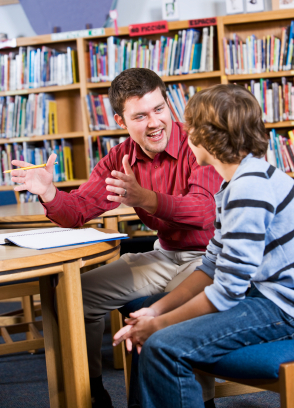 Teachers may know of local, qualified tutors who will be a good match for your child. You can also talk about it with other parents to learn from their experiences and find out whom they recommend. You can also browse the listings in the classified ads in a local newspaper, but you're likely to have the most success looking for a tutor online. Many websites are full of ads posted by tutors and tutoring companies, but be sure to verify a tutor's experience and qualifications before hiring him or her. You also might be able to get a free or half-price trial tutoring session so that you can see if it's going to work out. Another option you have is to contact a local or national tutoring company. There are literally dozens to choose from. These types of companies often have large networks of tutors and can expedite the process of finding a tutor. They also make it easy for you to switch tutors if you decide that you need a different one. However, you may find that you don't get the personal treatment that your child might receive when working with a private tutor. If your child only needs help with one assignment, then you may consider an online tutor. Some are available 24 hours a day and seven days a week, which makes for easy accessibility any time your child needs help.